Since the release of his debut single Breathe in 2016, Charles Dada took a year hiatus travelling around the UK; performing at Universities, Gospel Events, opening for Tasha Cobbs and touring with Sinach which paved the way for the release of HOLY, written with David B, it serves as his second single through Whiteblock records. The song is about the holiness of God and the incomparable nature of the Most High. He goes on to call Him Faithful, Mighty and Worthy which are all words used to describe a God who has no rivals as stated in Exodus 15:11. The song then ends with “Hallelujah” which is the highest praise! Although Charles Dada has attained a collection of accolades within his music career, he also holds skills and qualities in the creative world. 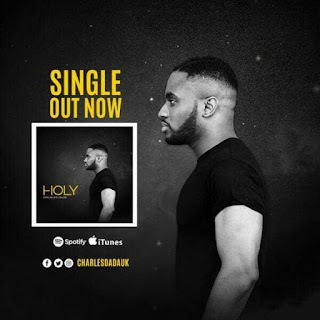 Shown in his 1st single “Breathe” and his newest single “Holy” which consists of artworks and creative concepts that can only be described as “Abstract”.